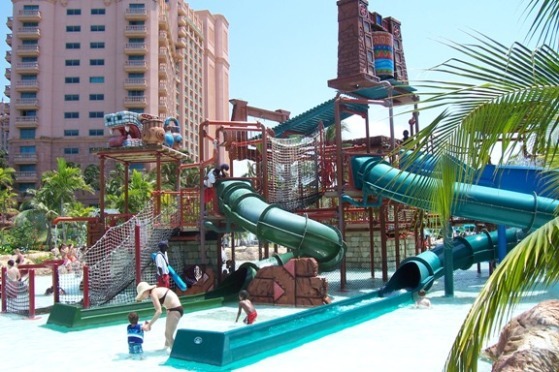 Kids who aren’t tall enough (48 inches) for the adult rides of the Aquaventure, including the Mayan Temple Water Rides, love playing on Atlantis Splashers. And there are no adults allowed. The height requirement is that people must be under 54 inches! 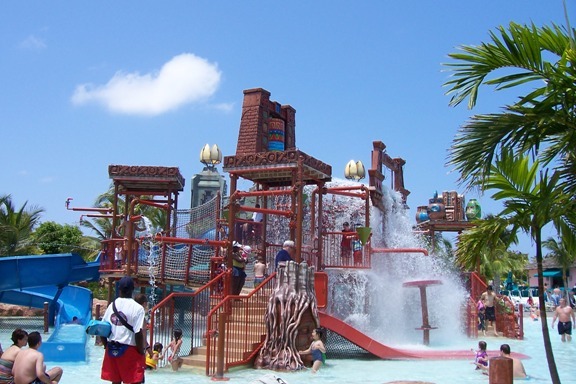 Last year, the two older children in our party, aged 9 and 8, liked Splashers better than the adults rides. 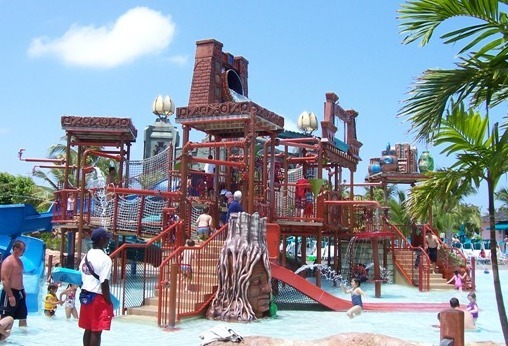 The third child, aged 5, stayed at Splashers and the Ripples kids’ slides all day – except when he was in The Dig. 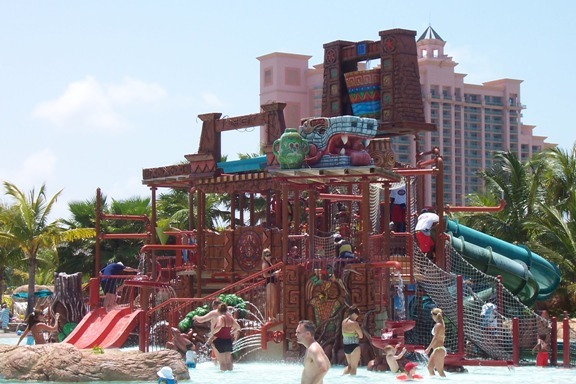 Splashers is a water-themed playground with slides, tubes, fountains, water wheels, and rope bridges. And if that isn’t enough of a chance to get soaked, there’s a 320-gallon bucket of water that slowly fills up spills out over everyone. Watch out! There’s nowhere to hide! Since the filling of the bucket takes a while, you can play while you wait.